All measurements and weights are only approximately! 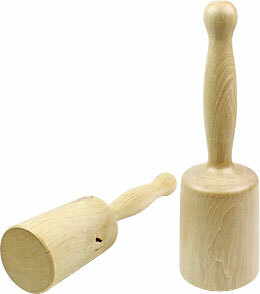 Of course you can use a woodcarver's mallet for cabinetmaking and vice versa. 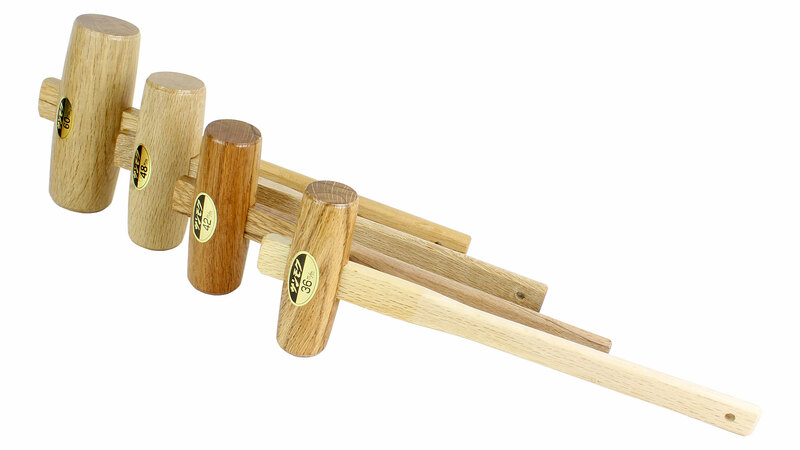 These mallets are entirely made of white oak. 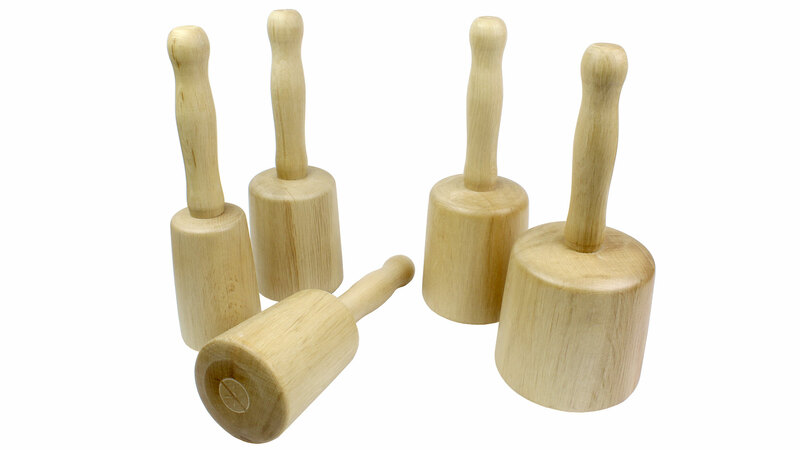 They are used for many purposes in woodworking and woodcarving and are also very useful for adjusting blades in wooden planes. 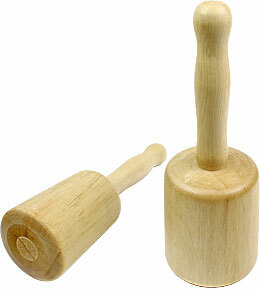 Made of hornbeam. 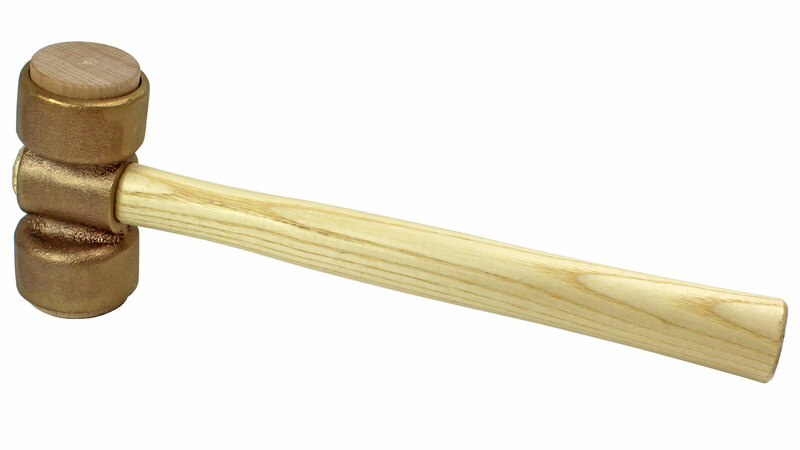 The 90 mm mallet is suitable for the average user. Handle Robinia, head Hornbeam. 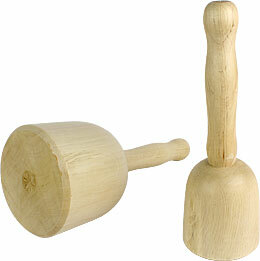 The 90 mm mallet is suitable for the average user. 80 mm 120 mm 270 mm 480 g Currently not in stock! 100 mm 120 mm 270 mm 760 g Currently not in stock! 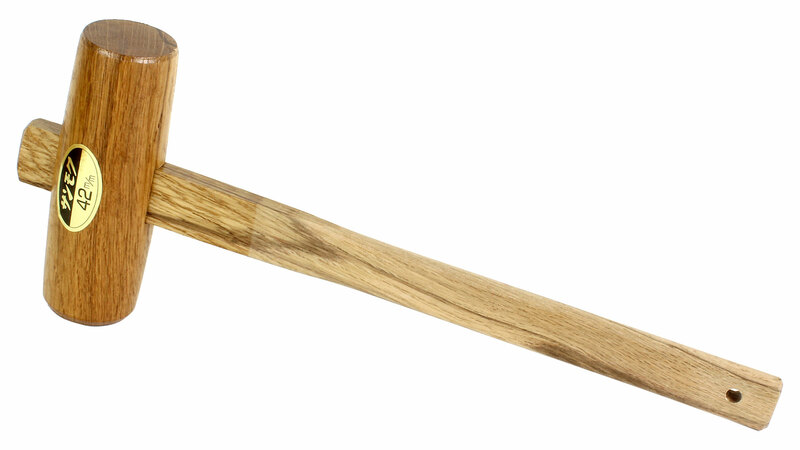 Head made of beech, handle made of ash. 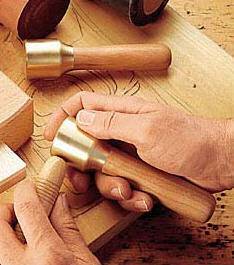 Bronze is one of the earliest alloys with characteristics perfectly suited for woodworking. 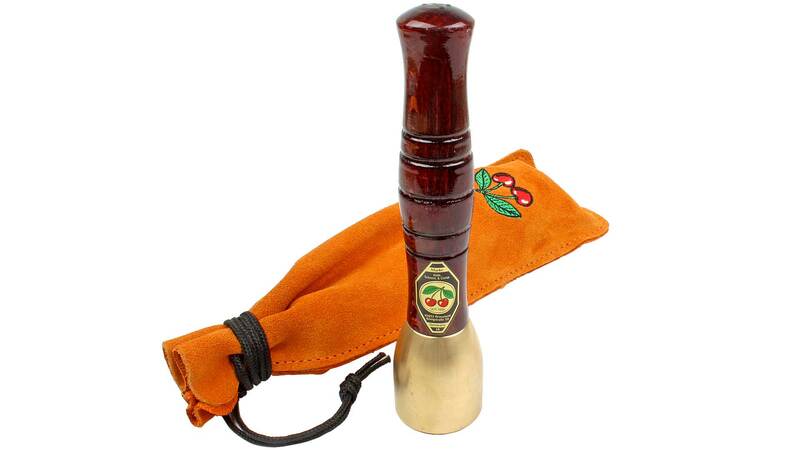 In recognition of this, Two Cherries developed the bronze-head master craftsman's mallet. 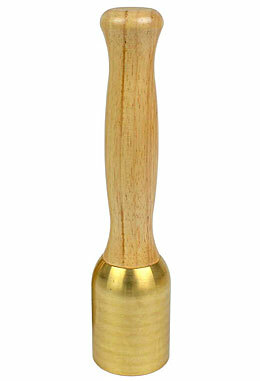 This mallet allows the most delicate and precise blows, and its bronze head damps recoil, making it easy on the wrist. 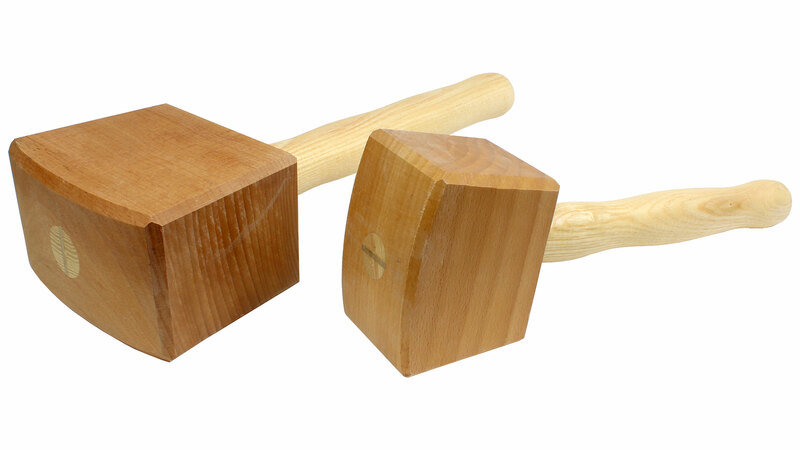 Because it is slightly heavier than comparable wooden mallets, the master craftman's mallet requires less effort to achieve the same results. 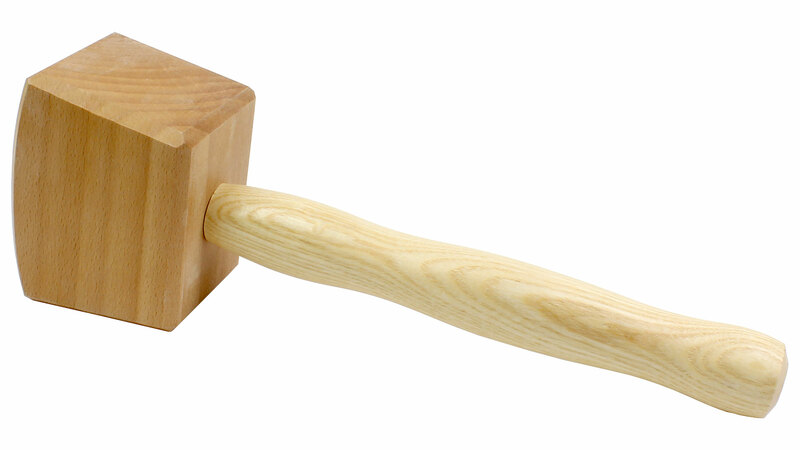 Use over time will form the mallet's head into a individualized, custom tool. 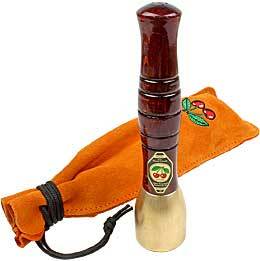 Handle is stained beech; a leather pouch is included. 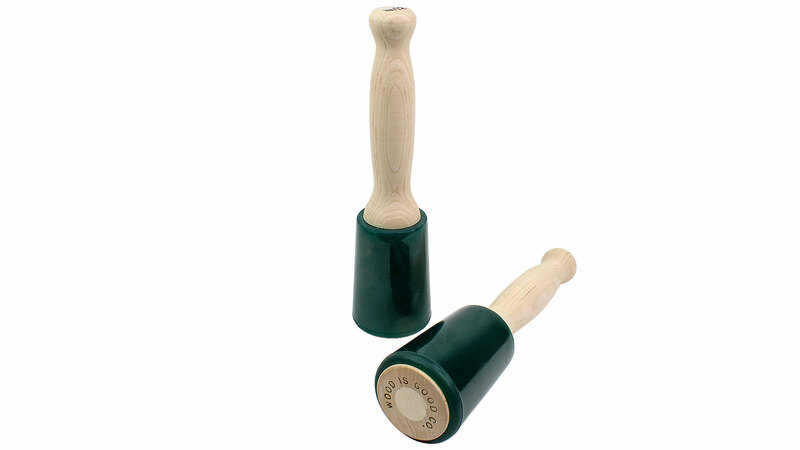 Ideal for striking chisels and woodcarving tools! 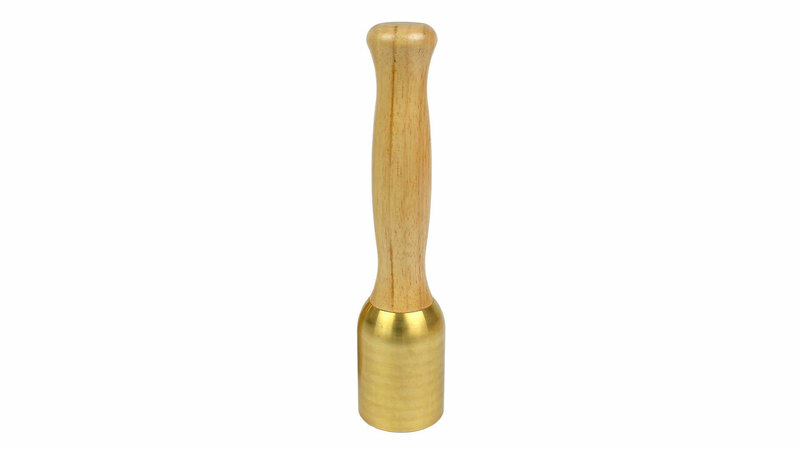 This brass mallet can be used with a traditional grip or it can be nestled in the palm of your hand to exactly control the force used, a position preferred by carvers and sculptors or anyone doing work finer than mortising. The final turning of the handle is done after the handle is mounted, ensuring a perfectly smooth transition between brass head and cherry wood handle. 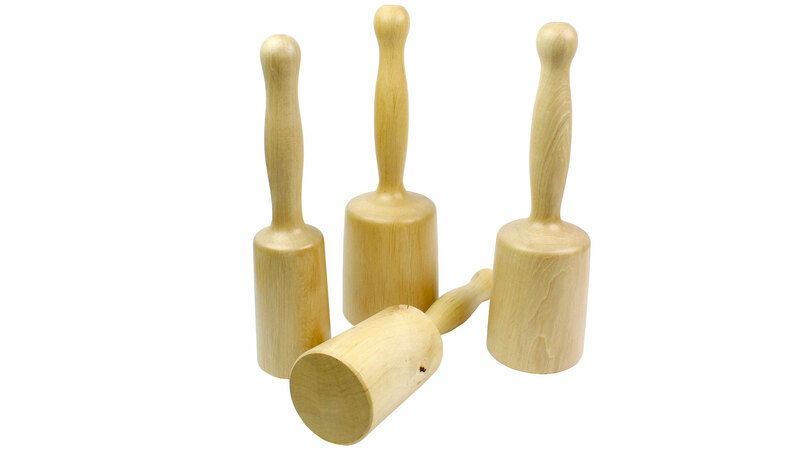 These carvers’ mallets are the best solution to the special needs of sculptors. The head, in a durable polyurethane is unbreakable and because of its elasticity, without being too soft, is in use extremely quiet and effective. The elasticity acts to cushion the blows and reduce stress on the wrist of the sculptor. 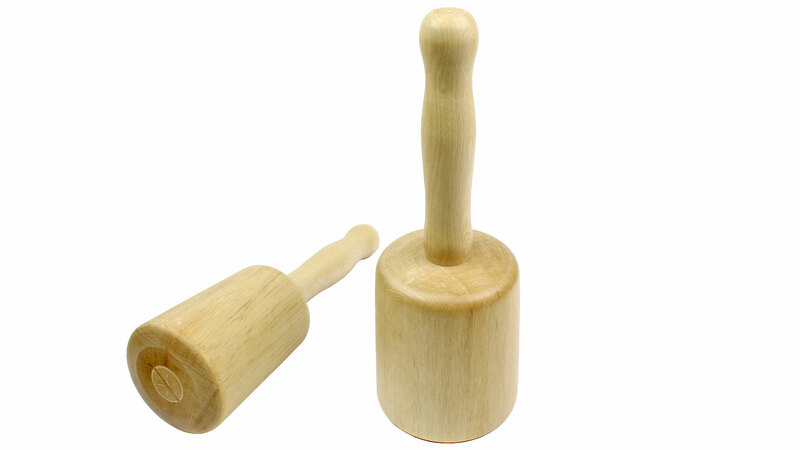 The shaft is in a hardwood locally sourced in New England, normally maple, very finely sanded, but without any finish that might make it slippery in use. 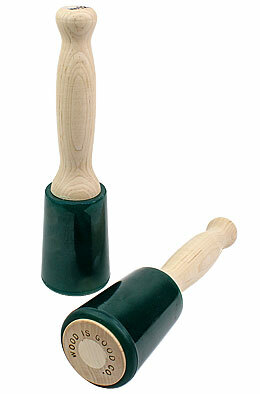 These mallets come in two head diameters, 70 mm and 90 mm. Each size is available in a model with or without a lead plug. 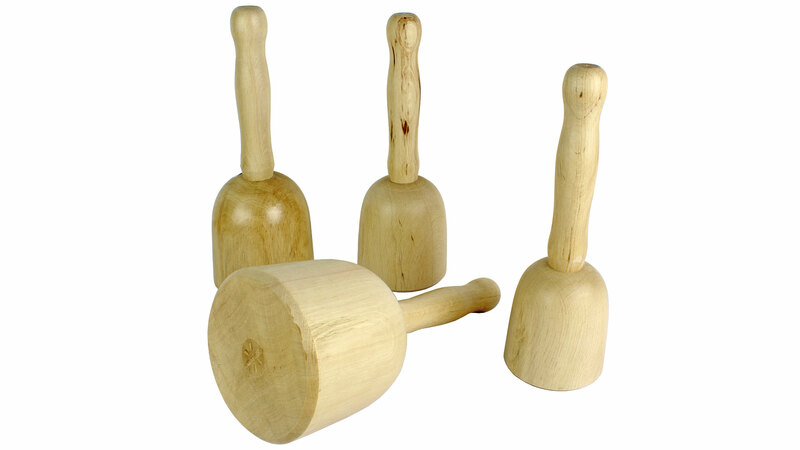 So you can choose from among different sizes and different weights in each size. 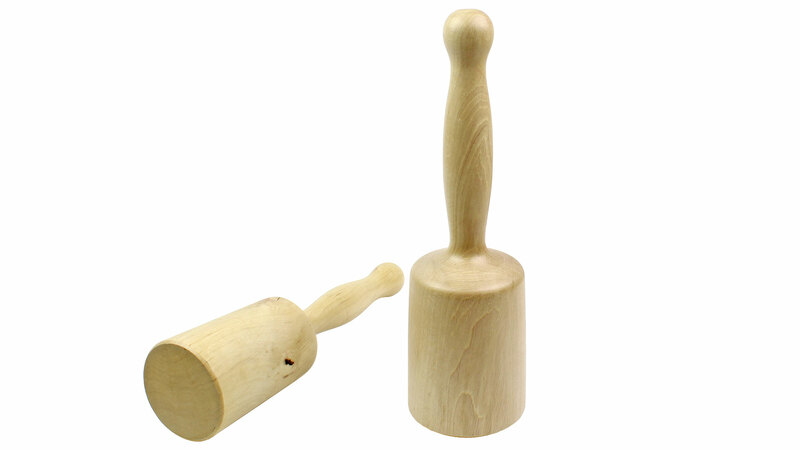 The small mallet without a lead plug is designed for very light work, the same size with the added lead is for those for whom a small, heavy mallet would be useful. 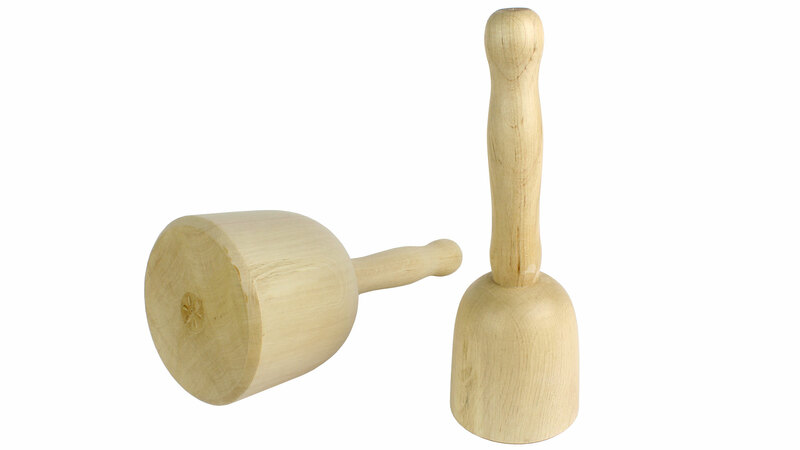 The large mallet without the lead plug has about the same mass as a similar-sized wooden mallet. 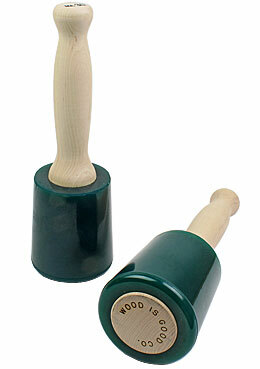 With the lead plug, the large mallet has the weight for very large-scale sculpting. The lead plug is in the head of the shaft, which is drilled out, filled with the metal, and then a wooden plug is glued in over that. 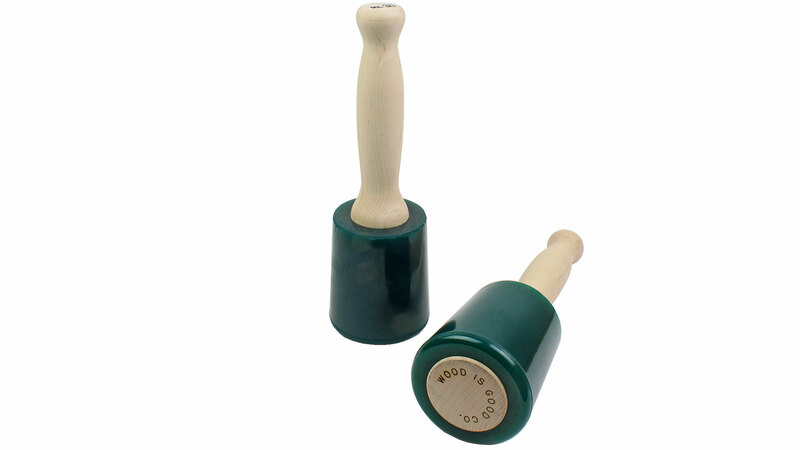 The total length of these mallets is 270 mm, the head, 100 mm. Made in the USA by WOOD IS GOOD.